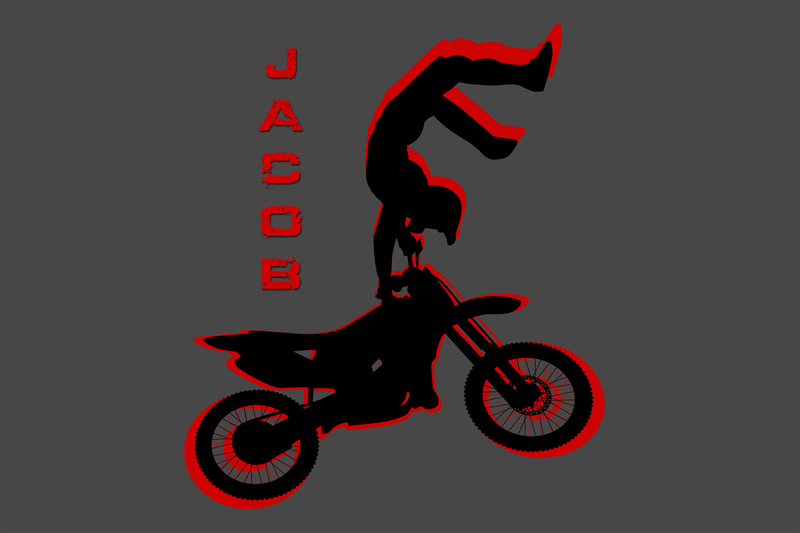 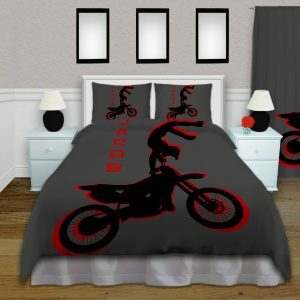 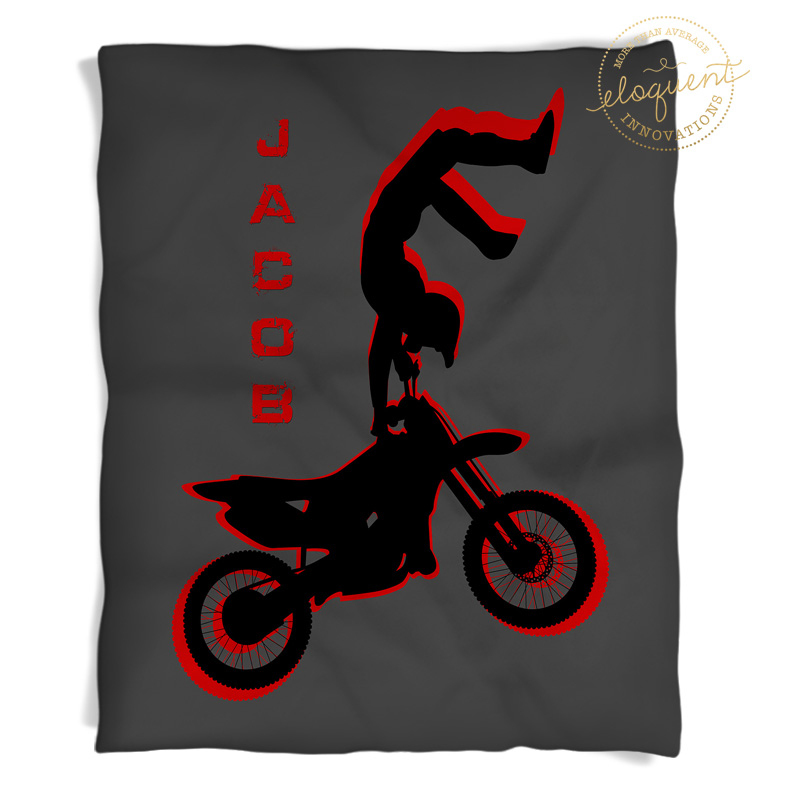 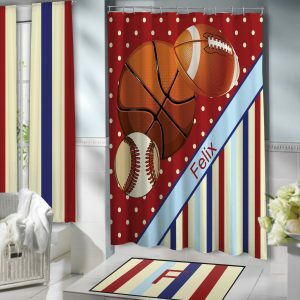 Our dirt bike motocross area rug with a dark gray background and a red outlined motocross rider comes in a couple different sizes. 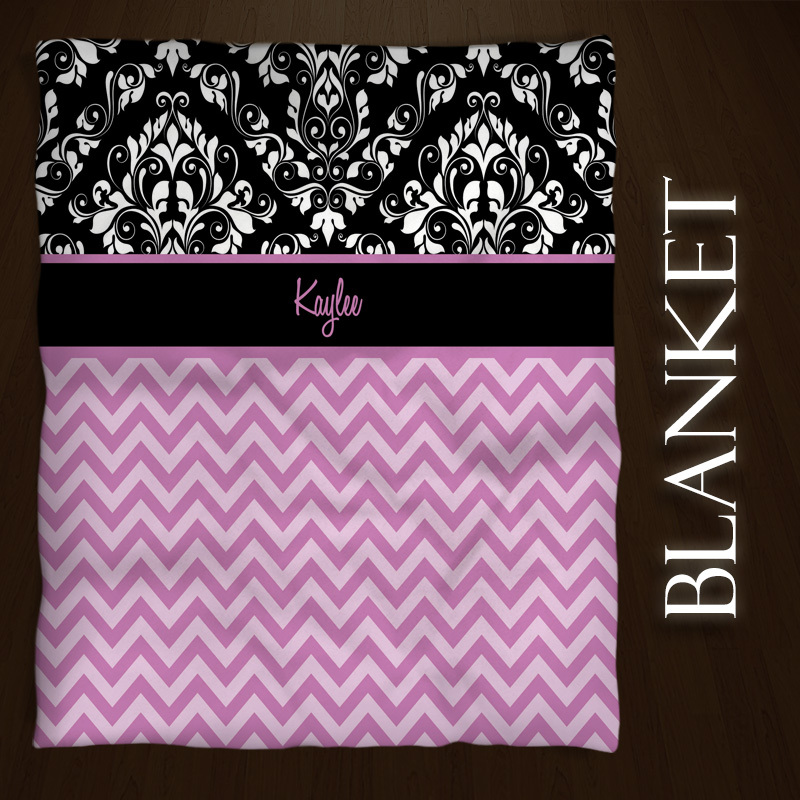 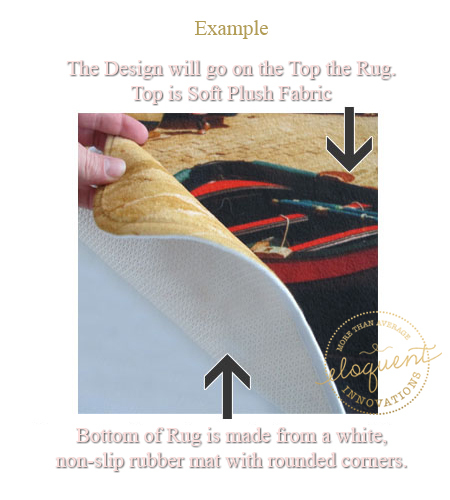 With the option to personalize the rug with a name or number of the rider, it makes a perfect gift. 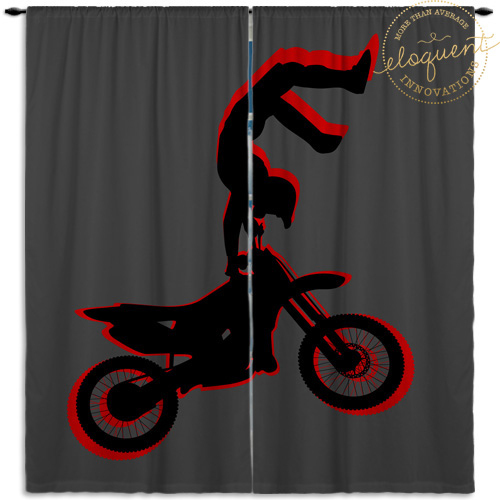 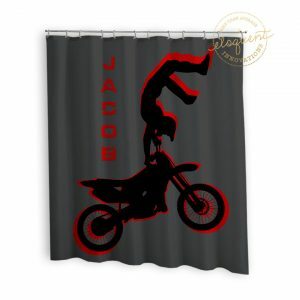 Your motocross rider will be able to display their passion for motocross riding.